Successfully saved Rum Cake to your Calendar. You can also save the ingredients to your Grocery List. 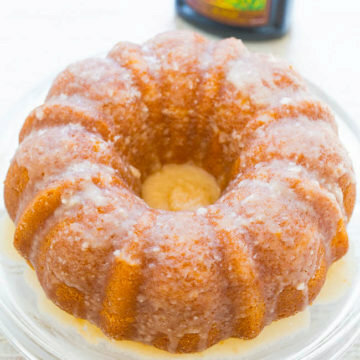 Rum Cake – A double dose of rum in this EASY cake that’s supremely moist, buttery, and literally juicy from all the rum!! The perfect make-ahead holiday entertaining cake that everyone will LOVE! !